Alana is a fourth year studying Human Biology in the College of Arts and Sciences. Her interests in bioethics stem from a curiosity for the interplay between society and science with a specific interest in reproductive ethics, the ethics of healthcare, and the importance of storying in the medical field. Outside of the journal, Alana spends her time with the Cavalier Marching Band as the Color Guard section leader, as the Speaker Relations Chair in a leadership development program called Blueprint Leadership, volunteering through Madison House at a Spanish language immersion program daycare, and researching for her thesis in the Herr lab. Alexander is a third-year in the College of Arts and Sciences at the University of Virginia pursuing B.A.’s in both Psychology and Biology as well as a passion-inspired minor in Astronomy. Not only is he is curious about the changing culture of U.S. medicine from individualism to team-oriented practices, but he is also interested in the growing debate in the medical community regarding stigmatization of doctors over misdiagnoses and improper risk assessment. In addition to writing poems and articles for the journal, Alexander serves on the Safety and Wellness Committee as part of UVa's Student Council to better student mental health through meditative practices. He assists research with Prof. Dodson in the UVa Psychology Dept., where they study the neurology behind false memories and how aging affects the confidence in response. Outside of research, Alexander is also a certified Tai Chi and meditation instructor of the Compassionate Service Society (a global non-profit organization) of which he traveled on behalf of to Montreal and Budapest on missions. Christopher is a second year from Cranford, New Jersey. He is currently pursuing a B.S. in Biology at the University of Virginia. Christopher is interested particularly in researching and developing bioethical arguments pertinent to issues popular across the mainstream media. He hopes that a strong foundation in bioethics will allow him to be a better health care professional in the future. In addition to his position as a staff writer, Christopher is an Emergency Medical Technician at the Cranford Fire Department, where he provides emergency medical services to the town and surrounding areas when home from school. Christina is the Founder of Overcome Birth Defects, a nonprofit organization which provides medical referrals and assistance to children with disabilities. She became interested in advocating for the rights of women, children and the disabled due to her own experiences as a woman with disabilities. Her interests led her to pursue a Masters of Public Health in Maternal and Child Health from University of South Florida’s College of Public Health followed later with a Masters of Science and a Doctorate in Health Policy and Ethics from Albany Medical College’s Alden March Bioethics Institute. She is an advocate for those with disabilities and women’s health issues. Her other activities include: community organizations which help strengthen women, coordinating and delivering toy drives during the holiday season for children who are hospitalized, and grant writing. Claire is a fourth year at the University of Virginia studying biology and biostatistics. She is fascinated by the intersection between the medical world and the philosophical one, and its implications in modern healthcare. Her interest in bioethics is broad and encompasses a wide variety of topics, from current epidemics to challenges that have faced societies for centuries. 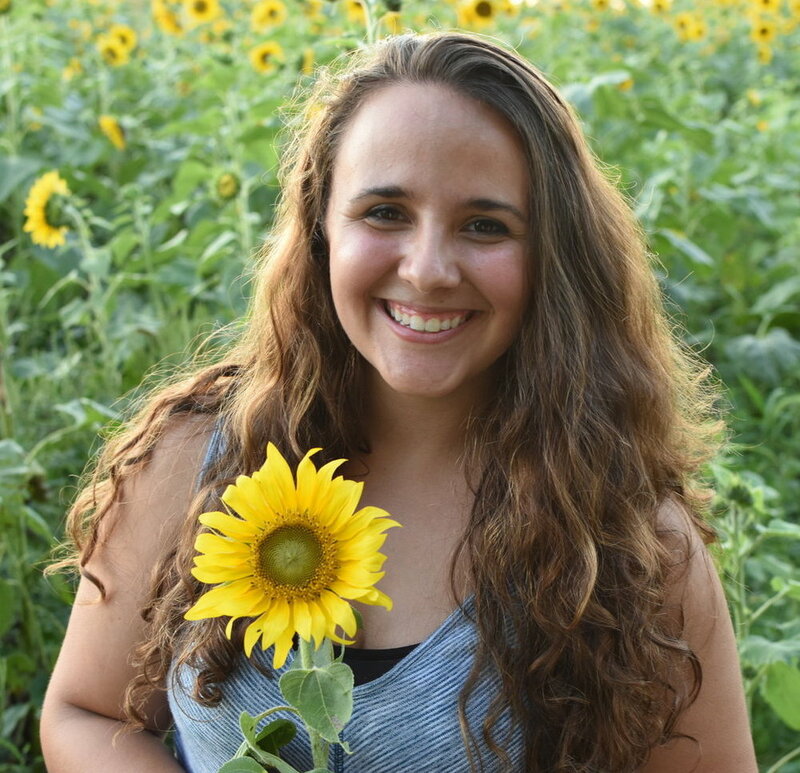 In addition to writing for the journal, Claire works for sales in the UVa dining department, is part of Grace Christian Fellowship, and is a volunteer EMT with the Charlottesville-Albemarle Rescue Squad. Emily is a first year in the College of Arts and Sciences at the Univeristy of Virginia planning to major in Global Public Health with a double minor in history and Spanish. She is particularly interested in how bioethics intersect with race and gender identity in today’s changing medical world and society. Besides writing for the journal, Emily spends her time with the Cavalier Marching Band as a member of the color guard and is a part of GlobeMed at UVA, which is a club that aims to strengthen the movement for global health equity and to improve the health of people living in poverty around the world. Additionally, Emily also is involved in Women in Medicine Initiatives and serves on the First Year Council. Logan is a third year at the University of Virginia studying Global Public Health and a distinguished majors program in Middle Eastern Studies. He is especially interested in the impact of identitarian violence on the provision of health care in Israel/Palestine. He is currently studying in Israel, researching the biopolitics that influence the decision-making process for granting Palestinians health permits allowing movement in/through Israel. He is also an intern at Physicians for Human Rights in Tel Aviv. In addition to formerly serving as Editor-in-Chief of the journal, Logan is a former chair of the Student Council Safety and Wellness Committee and is an intern and Peer Health Educator through the Department of Student Health at UVA. Morgan is a fourth year in the College of Arts and Sciences pursuing a B.Sc. in Chemistry with Specialization in Biochemistry and a minor in Bioethics. She is interested in how medical research discoveries together with novel social issues influence public policy, transform the landscape of healthcare, and spark critical ethical discussions around the world. Morgan is currently a member of Landers Lab in the Chemistry Department at the University of Virginia; she studies the detection of infectious pathogens using microfluidic technology with the aim of developing an innovative tool for clinical diagnostics. Outside of research, Morgan is a TA for Organic Chemistry Lab, serves on the executive board for the National Society of Collegiate Scholars at the University of Virginia, and spends time volunteering with Habitat for Humanity of Greater Charlottesville and other branches near home in the Shenandoah Valley. Sasheenie is a Masters in Public Health candidate, focusing on health policy and ethics. She graduated from UVa in May 2016 with a BA in Interdisciplinary Global Studies. Sasheenie is an upperclass Resident Advisor, Madison House elementary-school tutor, and Organic Chemistry TA. A Center for Global Health Scholar and Echols Scholar, her research is in the realm of HIV and masculinity, especially individual agency and peer communication around HIV/AIDS. Sasheenie is dedicated to exploring bioethics in the context of global applications of healthcare, and telehealth. Krithika is a second year in the College of Arts and Sciences planning to study biology and bioethics. She is especially interested in the role of genetic technologies and the bioethical implications it has on various communities of society. In addition to writing for the journal, Krithika is part of the Cavalier Marching Band, a site leader for a volunteer program for first years called Project SERVE, and is part of Levy Lab in the Dept. of Neurosurgery at the University of Virginia. Yasmine is a second year in the College of Arts and Sciences at the University of Virginia planning on majoring in Psychology as well as Politics with a concentration in American Government. Her goal is to attend law school in the future, and she is particularly passionate about health care policy and human rights. Besides writing for the journal, Yasmine is a research assistant in Dr. Joseph Allen’s KLIFF/VIDA lab at UVA’s Psychology Department. The study aims to identify factors in adolescence that shape adjustment in adulthood. Additionally, she volunteers at a local elementary school with Madison House’s Cavs in the Classroom program, is involved with political advocacy groups around Grounds, and volunteers in the cardiac unit at Inova Fair Oaks Hospital when at home in Fairfax, Virginia. Kabir is a third year at the University of Virginia who is pursuing a B.A. in Economics. In regards to bioethics, his interests include national scale legislation that impacts hospital protocol, improving communication between various healthcare members and patients in order to yield better outcomes, and balancing the economics of medicine with optimal patient care and treatment. Outside of the journal, Kabir performs research in the UVA department of nephrology and volunteers with CASH, where he performs free tax returns for low-income/disadvantaged individuals and families. He hopes that a strong background in biomedical ethics will allow for him to better understand and critique the decision making processes of both those working directly in the medical profession, as well as healthcare policy makers. Annie An is a first year in the College of Arts and Sciences interested in studying Biology or Global Public Health and ultimately hopes to pursue an M.D. after graduation. Her interests lie in exploring the social and biomedical ethics of practicing medicine practically, especially in how violence and public health are intertwined. Annie hopes to investigate an interdisciplinary perspective of medicine, ranging from healthcare policy to medical anthropology. Currently she is involved with independent research and teaches debate in local Charlottesville schools.